How To Keep Stink Bugs Out Of The House - The Fall Invasion Begins! How To Keep Stink Bugs Out Of The House – The Fall Invasion Begins! Autumn has arrived – and that means its time to enjoy apples, pumpkins and the beauty of turning leaves – along with worrying of course how to keep stink bugs out of the house! It didn’t take long for our house to be overrun last weekend. On Saturday, you would have been hard-pressed to find a single stink bug anywhere. But by Sunday, we were witnessing a full-blown invasion. The ugly mug of a stink bug! The annual fall invasion has arrived. By late afternoon, the screens on the west-facing side of our house were crawling with stink bugs. Both the front and back doors were covered too. The stink bugs had arrived – and they were looking for a way inside! When the cooler temperatures of fall settle in, the stink bugs come out by the thousands. Or better put, by the hundreds of thousands. And all of them are looking for the same two things. Mates, and a warm place to ride out the frigid temperatures of winter. 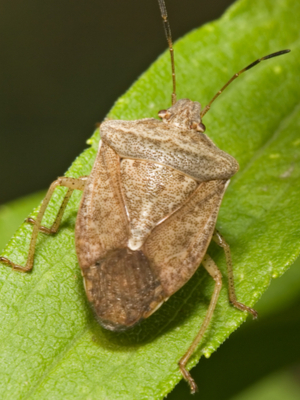 In the fall, stink bugs leave the outdoors to look for shelter indoors. The most convenient place for them to find that of course is in the friendly confines of your home. Unfortunately, stink bugs have very few natural enemies or predators. They are also very hard to control with either man-made or natural insecticides and repellents. So when it comes to keeping them from co-inhabiting with you, it all comes down to prevention. Stink bugs can enter a home through the tiniest of holes. And once they do, they are amazingly adept at finding small nooks, cracks and crevices to hang out all winter long. The key is to eliminate their entry points. It is also vital to keep hiding spots indoors to a minimum. After all, if they can’t hide – at least you can evict them easily. Start by checking all of the window screens in your home. 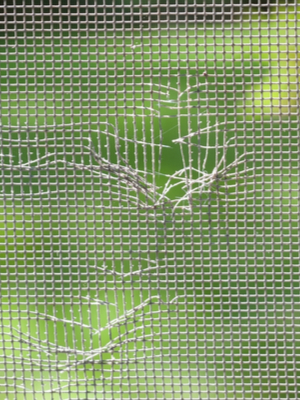 Repairing and or replacing faulty screens is your best first line of defense. 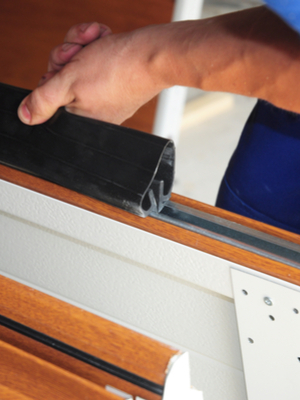 Look for holes or slits, and make sure the rubber gaskets holding them in place are secure. These are easy entry points for stink bugs, and for all insects for that matter. 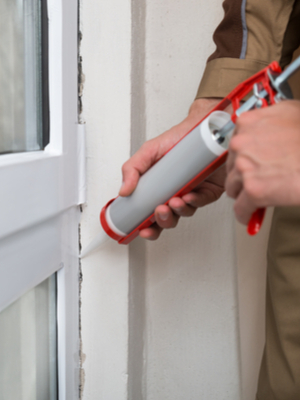 Sealing doors and windows help eliminate entry points – and keep your home better prepared for winter too! Next up is making sure door and window trim is caulked and sealed. Not only is this a good defense against stink bugs, it is a great way to help winterize your home! Another easy entry point for stink bugs are at the bottom and sides of doors. 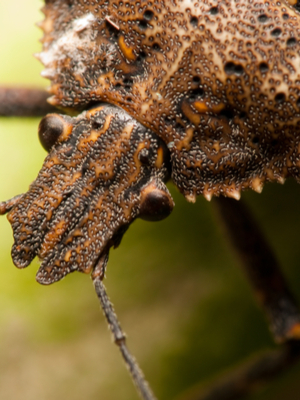 Stink bugs love to crawl in through the edges and bottoms. If your doors already have seals, check to make sure they are intact and sealing off the exterior properly. Door jams and door seals are a great way to defend against stink bugs, and the cold! Finally, be careful of what you bring indoors. Stink bugs love to hitch a ride in on blankets, firewood, clothes and more. Many of us head outdoors to enjoy autumn’s beauty with a bag full of blankets, sweatshirts and sweaters, and stink bugs have an uncanny ability to crawl in and cuddle up too. 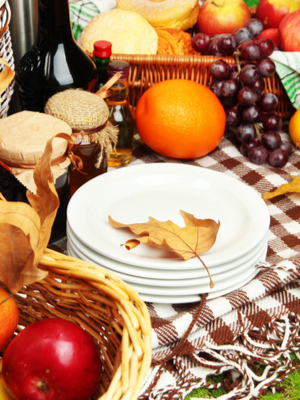 Fall activities outdoors might be fun, but be sure to shake out blankets and clothes! Here is to keeping stink bugs out of your home this fall and winter! Jim and Mary. The stink bugs seem plentiful this year. I actually haven’t seen much of them in previous years. Just smashed one in my bedroom not knowing for sure what it was, then saw your article about the stink bugs. How timely. Love your blog! I live in the UK and had a stink bug on my front gate last week. I’ve never seen them before, I’m 35 and have always lived in rural areas. With horses, tack and rugs are always coming in the house/going onto the yard, we’ll have to keep a look out. Thank you so much Chris for the kind words! It is amazing how they just re-appear and take over in a few days!